When you’re a stay-at-home mom people pretty much know you spend a lot of time with your kids. If you stay home when they’re babies there’s a lot of diaper changes, feedings and sleepless nights. If you stay home when they’re a little older there’s more play time and child rearing going on. As they get older they start making little friends and having playdates. As they enter pre-school and other programs, you may step back a bit and let other people do some of the work. But, what happens when all of your children are in school full-time? If you’re like me you start hearing the question every stay-at-home mom hates to hear. In just a few months, my youngest will be off to full-time Kindergarten. As a result both of my kids will be in school full time. It must mean I can now run off to a tropical island. Maybe it means that she and her sister will get to school by themselves, make their own food, and find rides to afterschool activities. It must mean my mothering role will become obsolete because everyone keeps asking me what I’m going to do. It’s not like they’re going off to college. It’s elementary school. The mothering responsibilities will still be there come September. They’re just going to shift a bit. I’ll shift along with them. That doesn’t necessarily mean I have a power point presentation about my future all cued up and ready to go. Does anybody? Being a SAHM doesn’t mean your kids are your only interest. It only means that you made a choice that worked for you and your family. You made a tough decision and you probably made a lot of sacrifices. It would be like assuming all working mothers are only interested in their jobs. Working moms also made a choice that worked best for them and their families. Many also made a tough decision and made sacrifices of their own. Yet, I don’t hear working moms being asked what they’re going to do with themselves once all their kids are in school full-time. Many SAHMs had successful careers they decided to put on hold before making the leap. Maybe it’s time to go back? Others have developed new interests…interests don’t involve diapers and rattles. Maybe it’s time to give those some attention? Sometimes it feels as though people can’t imagine what you could want to do with yourself when your role as a SAHM isn’t the main event anymore. Why? Because I don’t and I will. Quite frankly I don’t think there’s anything wrong with that. Do you? There’s something exciting, yet scary, when you know your life is about to take a huge right turn. Sometimes it’s better when that shift is unexpected. Knowing change is on the horizon can be intimidating. It doesn’t help when everyone wants to know how you’re going to deal with it all. But sometimes not having a plan is the best plan of all. Can We Stop Raising Mean Girls? Mean girls have been around for as long as I can remember. Perhaps you’ve ran into a few when you were a kid. Perhaps you were their target like I was. Perhaps you were even one when you were growing up. Perhaps your child has had the unfortunate experience of being the victim of one. Perhaps your child is one. Whatever the case, mean girls seem to hang on and exist despite anti-bullying programs and zero tolerance policies at school. I just can’t seem to figure out why. What joy can I child get out of hurting another child either mentally or physically? Maybe I’m just naïve, but I just don’t get it. The only explanation I can come up with is that we are raising a society of mean girls. Truth be told we have been for what seems like forever. It’s not just in certain parts of the country. It’s not exclusive to certain schools or districts. It is everywhere. While I do think outside influences can play a part, I don’t think we can pass the blame. It starts at home. What are we teaching at home? Are we teaching kindness? Are we teaching tolerance? Are we teaching our kids to be genuinely good people? Sadly, I don’t think enough of us are. If we were then mean girls would cease to exist. We as parents need to take responsibility for the types of people we are raising. We need to teach them to be kind. It would be unrealistic for us to teach them to be friends with everyone. That’s just not possible. What is possible is to teach them to treat everyone with respect and kindness. The golden rule never gets old. Treat others like you want to be treated. It’s as simple yet as complicated all in the same breath. Do you think those mean girls would like it if they were treated like they treat others? Honestly, some of them have become so damaged that it may bounce right off of them and onto their next victim. Others may actually feel some of the pain they’ve inflicted on others. If you think your kids need to reach middle school or high school to feel the wrath of mean girls, think again. It’s happening even younger than you may think. I’ve seen it in elementary schools and as early as first grade. It is heartbreaking. No parent should every have to explain mean girls to their crying child who just doesn’t understand what they could have done wrong when they know they’ve done nothing. At those young ages where are these kids learning this type of behavior? Why do they think it is acceptable? The only answer that makes sense to me is that they are learning it from home. Perhaps it’s what they are not learning at home. They are not being taught basic values of being a decent human being. If this is the case then we are failing as parents. We are failing as a society. Simply put, can we stop raising mean girls? Is it really too much to ask? I can guarantee that everyone will benefit if we can just figure it out. There’s nothing like a good juicy burger. But, sometimes getting that at home can be a challenge. 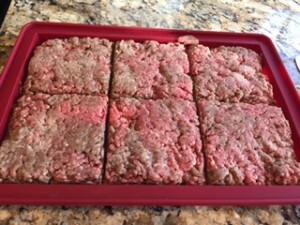 Pre-made hamburger patties are usually not very thick or very juicy. That’s why it’s better to make your own patties. They’re fresher, thicker, and taste better because you can add spices and anything else you want to customize your burger. A good hamburger press is essential to make those hamburger patties perfect. That’s where the Cave Tools Hamburger Press comes in. 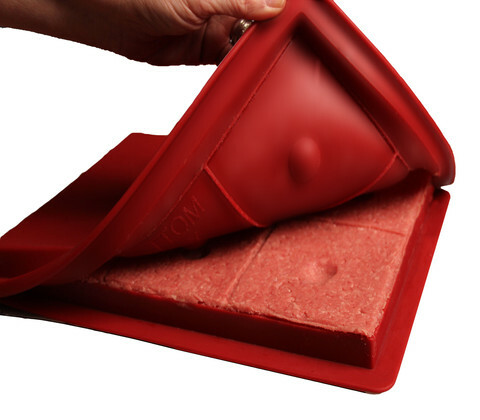 Unlike many products on the market, the Cave Tools Hamburger Press allows you to not only pre-make the patties, but also freeze them without losing shape. There’s no wrapping in tin foil or plastic wrap. 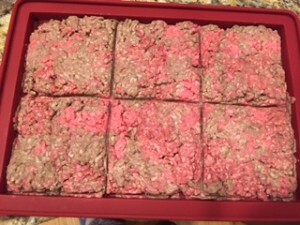 You make them in the press and then stack the tray in your freezer. 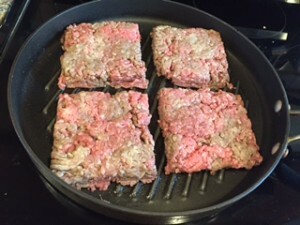 The burgers made by the Cave Tools Hamburger Press are so filling that you may even have left overs! One of the best things about this product is that it is dishwasher safe. After you take your burgers out, just pop the tray in the dishwasher. There’s no scrubbing or soaking. The tray comes out sparkling clean and ready for its next use. If you want to try the Cave Tools Hamburger Press, you can use this Amazon coupon code for 15 percent off: LZEN8T4G. It’s worth it! Happy hamburger pressing!